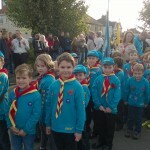 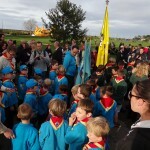 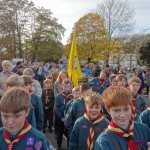 At 2:30pm on Sunday 13th November 2016 1st Clevedon Beavers, Cubs, Scouts & Explorers took part in the Clevedon Remembrance parade, organised by the Royal British Legion. 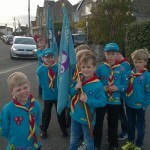 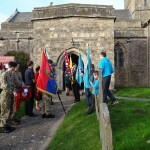 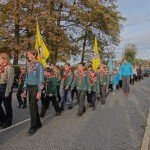 We marched in full uniform with 2nd Clevedon Scouts, Guides/Brownies and many other groups including war veterans. 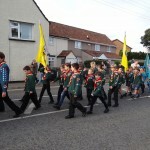 The march to St Andrews Church was brilliantly led by The City Of Bristol Pipe and drums band. 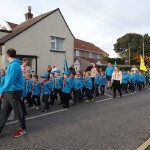 All of the Explorers, Scouts, Cubs and Beavers looked very smart in full uniform, marched brilliantly and were impeccably behaved on the day – a credit to the group! 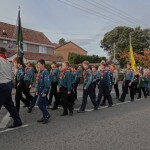 © Copyright 2019, 1st Clevedon Scout Group, All Rights Reserved.